Get outdoors at Estrada Da Graciosa and Fortaleza da Ilha do Mel. Get some historical perspective at Ukranian Memorial and Metropolitan Cathedral. 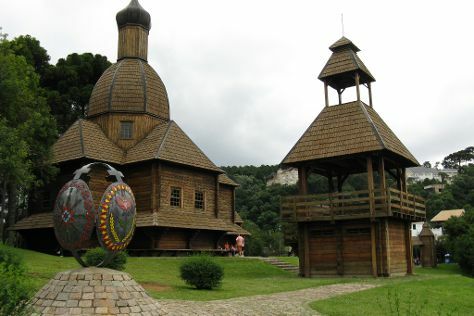 Go for a jaunt from Curitiba to Piraquara to see Mananciais da Serra about 48 minutes away. Next up on the itinerary: see the interesting displays at Deutscher Wald / Bosque Alemao and pause for some serene contemplation at Igreja Presbiteriana de Curitiba. To see where to stay, traveler tips, maps, and tourist information, read Curitiba trip builder tool . In March, daytime highs in Curitiba are 28°C, while nighttime lows are 20°C. Finish your sightseeing early on the 13th (Wed) to allow enough time to travel back home.